ORLANDO, Fla. — UCF Sophomore Kicker Donald De La Haye was declared ineligible Monday after attempts to work around NCAA regulations fell through. His rise was swift in just two years as a Knight, experiencing rapid growth after the 2016 season. June 5, 2015: YouTube account created. Fall Football Season, 2015: 10 games played in as a freshman, no videos currently on the channel posted during this period. May 11, 2016: Oldest video currently available was posted, not directly related to UCF Football. August 12, 2016: “Camp Chronicles” is posted, just the second video available since May 2016. 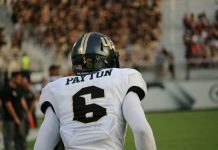 Fall Football Season, 2016: Played in all thirteen UCF Football games, averaged 60.8 YPK as a kickoff specialist. No video posted garnered more than 60,000 views – a Colin Kaepernick cameo was worth just shy of 55,000. March 13, 2017: The first content that would push over into six-figure viewership was published here, “My Worst Kicking Day.. Ever”. De La Haye records a few small portions of his day before showcasing a tough day in the Nicholson Fieldhouse. June 10, 2017: “Quit College Sports or Quit YouTube?” – The UCF kicker takes to his YouTube channel to announce that he has been informed that his revenue-creating activity on the website may violate NCAA rules. He says that the next step is meeting with compliance to find a way around giving up football or YouTube. June 18, 2017: Making his decision public, De La Haye says that he won’t sacrifice his passion for anybody. July 12, 2017: UCF submits a waiver request to the NCAA requesting that De La Haye be allowed to continue to produce content that did not directly profit from any material that could be linked to his identity as a student-athlete. July 24, 2017: The Oakland Raiders’ Marquette King makes a cameo in a training video with De La Haye, in which Donald flew out to train with the outspoken NFL punter. No official move had been made yet, but UCF’s kickoff man has said at this point that he does not want to change and that the situation is out of his hands. July 31, 2017: UCF distributes a release on the eligibility of Donald De La Haye. 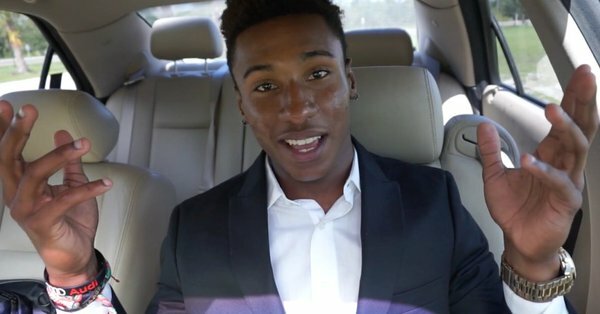 Given the choice to either cease making football related videos or cut his revenue stream off, the student-athlete elects to pursue his passion, something he ties in strongly with his pursuit of a marketing degree. The GoFundMe account created in an to fund tuition was started late Monday evening. In just a few short hours, the online crowd sourcing site has netted De La Haye $1,500 of his $30,000 goal for tuition.